Optimized content is the lifeblood of any website. It has to be optimized for the readers and the search engines. Well-written, informative content with keywords judiciously used and placed on a page that fulfills all the SEO requirements will definitely do well. It will, over time, climb over its competitors in the search engine rankings, get backlinks, and generate traffic. Let us take a look at the SEO attributes that a page must possess to give it the best chance of performing on the SERPs. You would have definitely noticed that Google provides answers to certain queries on the search page itself. These are “rich answers” that appear above the first result. There is a clear advantage for the site that can convince Google to publish its answer as the “rich answer”. What does it take to capture that spot for a given query? One, you need to focus on ranking high for that given keyword or keyphrase. In order to rank high, the content has to answer a question, be pithy, informative, feature a very clear heading, have command words in the content, and use <li> tags to keep it short. Make ranking as the “rich answer” your objective for the next six months. Pick keywords that you can use to provide answers to your clients. Use these keywords to create great content that is also search engine optimized. The project will have a salubrious effect on your website’s health. Make user engagement the mantra around which you will develop content. A page optimized for readers has a higher chance of keeping the readers on the page longer. Google loves such pages. Create pages that keep readers there. How can you improve user engagement for your pages? Interactive content is one way. Quizzes work. Infographics sustain reader attention if they are cleverly done and contain great information. Articles that provoke or needle readers into commenting can sometimes make it to the first page of the search engines purely on the strength of the deluge of comments they attract. Social logins make commenting easier. Social sharing promotes content. Give readers things to do on the page. If you can succeed in keeping them there, Google will notice and reward you for it. If you want to succeed with SEO, then you need to understand that beyond the meta tags and schema markups, Google looks for endorsements for your content. One-way backlinks were once the gold standard for endorsements. They are still valuable. Backlinks from reputable sites and subject matter authorities send a signal to Google that your content is worth ranking high. .edu backlinks are valuable. Today, shares on social media and social proof on Facebook, LinkedIn, Twitter, etc are signals to the search engines that a given site is well received by users. If your site isn’t already optimized for mobiles, then do it now. Get an SEO Loudon expert who can create a responsive website for you. If you’re looking for web development in Virginia, then you don’t need to look beyond Applied Tactics. 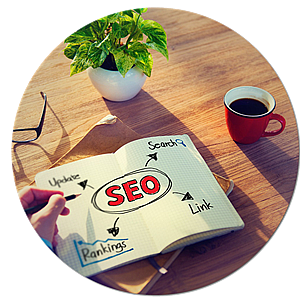 We can help you with your SEO and web development needs. Take a look at our portfolio. We deliver results.